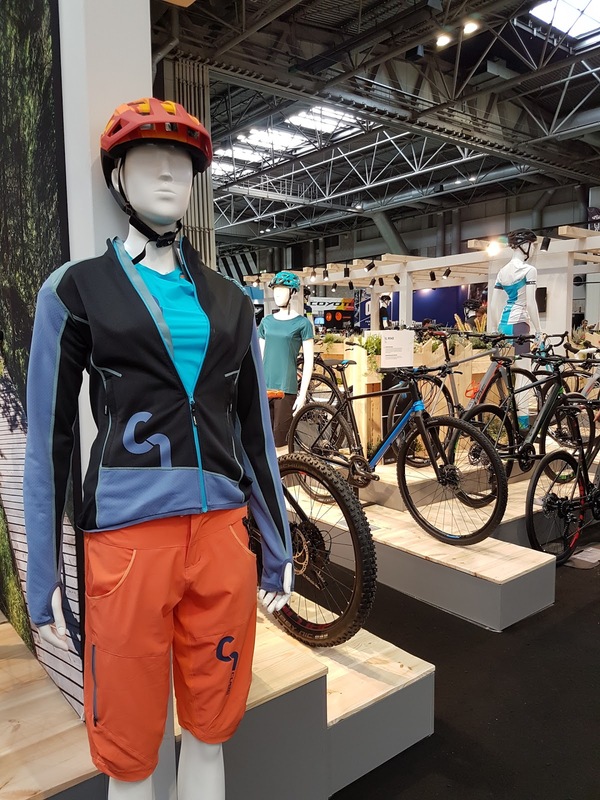 You know you're at the back end of the year when a) cyclocross gets going in earnest, and b) all the cycle shows take place, with cycle firms showing off their 2018 models. I have never been to Interbike in Las Vegas, or to Eurobike. But I do tend to go to the ones in London, and sometimes the triathlon show in Manchester. So today I went to the National Exhibition Centre (NEC), Birmingham, for the Cycle Show. I would normally have gone on the Thursday when it's trade/media day. On those days there is more space, so you can photograph things without people photobombing your picture. Also, exhibitors and media folks have more time to press the flesh and network a little. However, because I also have a full-time copywriter job to hold down in London I can't always get the time off during the week. So today was just going to be a quick tour around the show and see how far I could get through the crowds. It actually wasn't too bad. I met Claire from Condor Cycles, Duncan who I had been dealing with from Raleigh, but he has recently left the world of bicycles to join the world of furry things - pets to be precise! Then there was the VeloVixen team, who had a dedicated women's cycling hub, with various talks being given. It was a nice surprise to catch up with Emily Chappell - cycle tourer extraordinaire, author, and director of the Adventure Syndicate. And of course it is always nice to meet more marketing managers and put names to faces - like Holly from Canyon, and Carola from Cube. This year's edition of the show seemed busier than in previous years. The other thing that I noticed was just how much electric bikes seem to have come on. A couple of years ago there were just a few manufacturers that were displaying them. But now everyone seems to have something electric. Apparently it's the way forward. I have never thought of using one myself, and I must admit that I haven't seen that many on the road when commuting. I feel like I might be cheating if I add a little motor to my bike. Well, certainly that's what the world governing body of body (UCI) have been saying all this time! Have I missed their latest memo?? But anyway, I am glad I was able to optimise on the three and a half hours I whizzed around the NEC, (and even do a trip to the Bullring Shopping Centre). I look forward to trying out some of the novelties I saw.